10 Delicacies That Would Make You Wish It Was Navroz Every Day! Let us introduce you to some of the delicacies that are served on the auspicious occasion of Parsi New Year i.e Navroz. Navroz is the Parsi New Year, when people from diverse ethnic communities and religions that come under Iranian influence or are migrants from Persia come together to celebrate the day. The word Navroz means ‘new day’, when it is literally translated. However, the word Navroz is only used in India, it is actually Nowruj or Nooruj in other parts of the word. 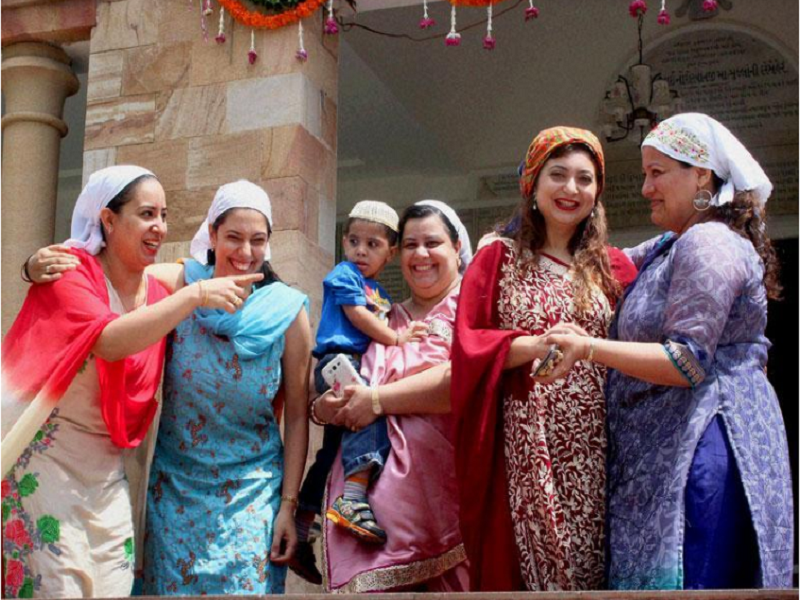 The Parsis and Iranis celebrate Navroz in a special way. A circular table or the dining table dons an exquisite new look. A special table cloth known as ‘Sofreh’ is spread on the table which sets in the festive spirit. The whole decorated table known as ‘Haftashin’ is a feast for the eyes and delight to the senses and the soul. After all, Navroz ushers in the message of gratitude, joy, hope and of course the triumph of the good over evil for all humanity. Made with suji/rawa (semolina), milk and sugar, it is fried vermicelli cooked in sugar syrup and sprinkled with raisins and lots of almond slivers. Usually served at the fire temple, this dish contains nutmeg-scented sweet curd along with vermicelli (sewai). This is a traditional delicacy of the Parsis. It’s prepared using mild green chutney to coat the fish before wrapping it in banana leaves and steaming it. Pomfret or Kingfish is usually used to prepare this dish. True blooded Parsis are passionate about farcha and it is sure to be on the menu as this egg-battered, fried chicken is an all-time favorite. The dish, with heavy Gujarati influence comes with a generous helping of fried potato sticks with gravy and it really is difficult to go wrong with this one. This cold delicacy is one for the ages. Made with milk, it is then flavoured with rose essence and topped with fresh fruits and dollops of ice-cream. This is pure bliss! All our best wishes to you this Navroz!